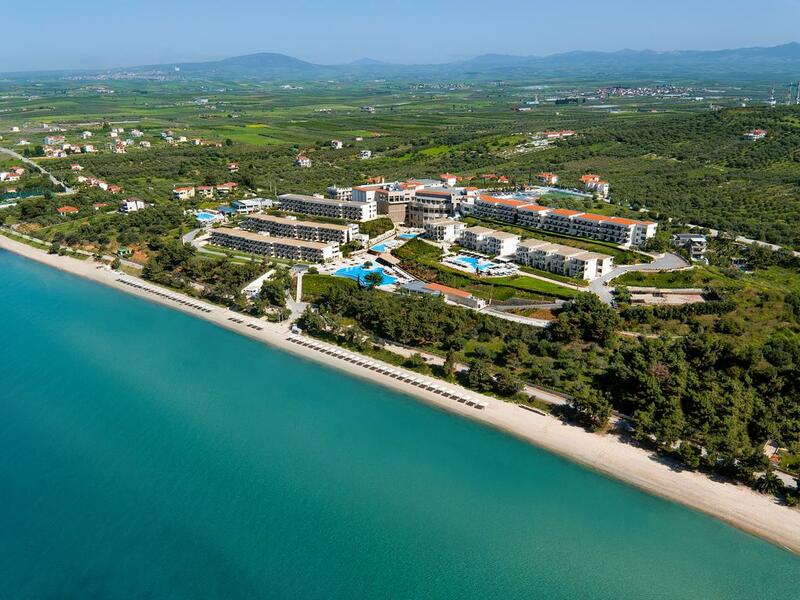 Ikos Oceania enjoys a perfect location in the peaceful town of Nea Moudania on the stunning Halkidiki peninsula. 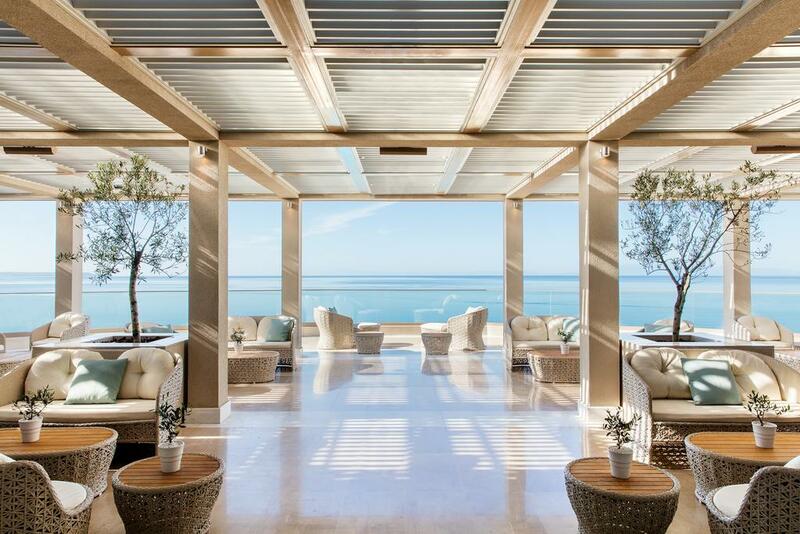 As part of the new concept from Ikos Resorts, the Ikos Oceania offers outstanding levels of elegance and excellence in a luxurious setting that complements the natural beauty of its surroundings. 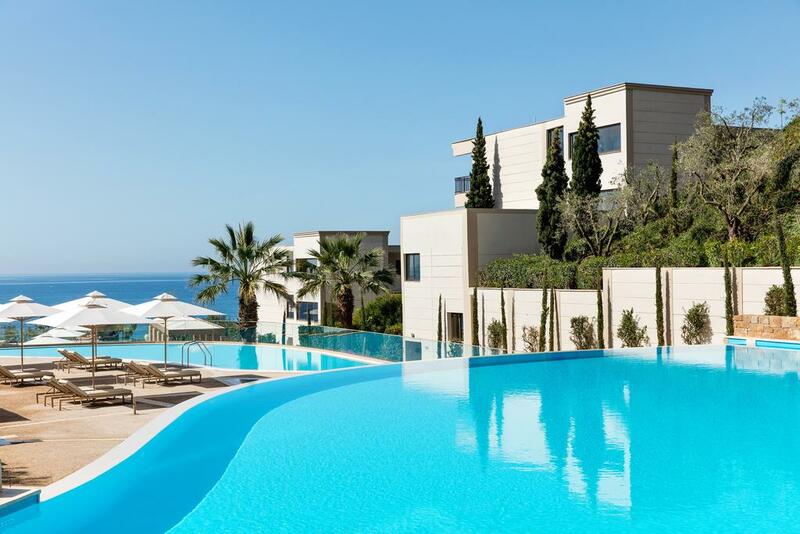 The Ikos Resorts offer an ‘Infinite Lifestyle’ concept that ensures elegance, quality and an unparalleled level of service in a harmonious setting. 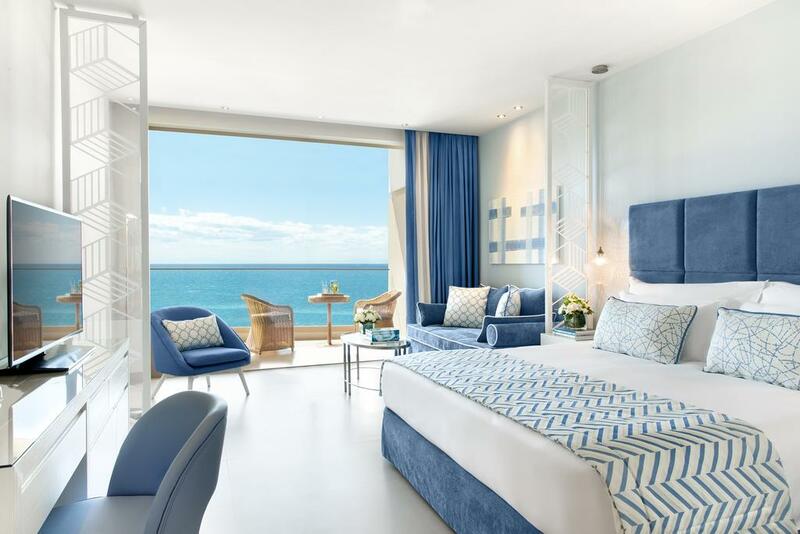 Overlooking the ocean, this magnificent complex is the perfect escape for families, couples and those searching for a truly relaxing Greek destination and offers the sleek, contemporary design of the spacious guest rooms and suites are the epitome of stylish comfort. 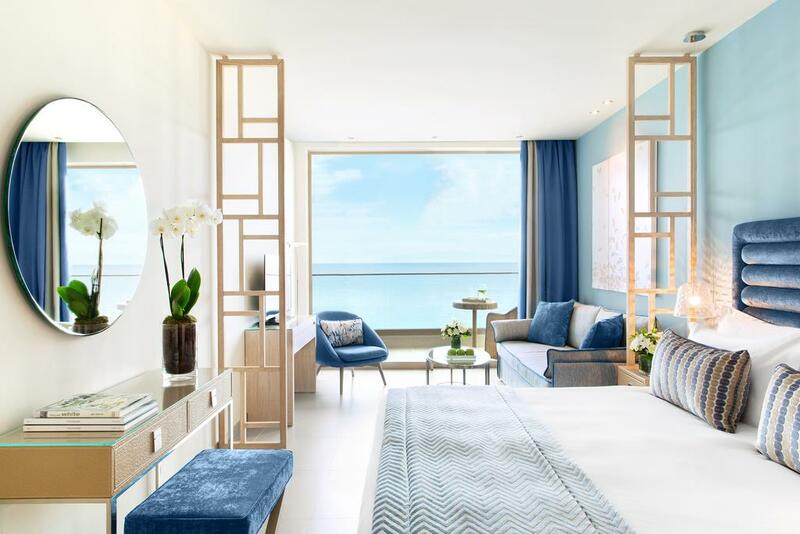 Whether you are looking for a suite with panoramic views of the ocean or a spacious two bedroomed suite with enough space for quality family time, there is a choice of accommodation to suit all needs. 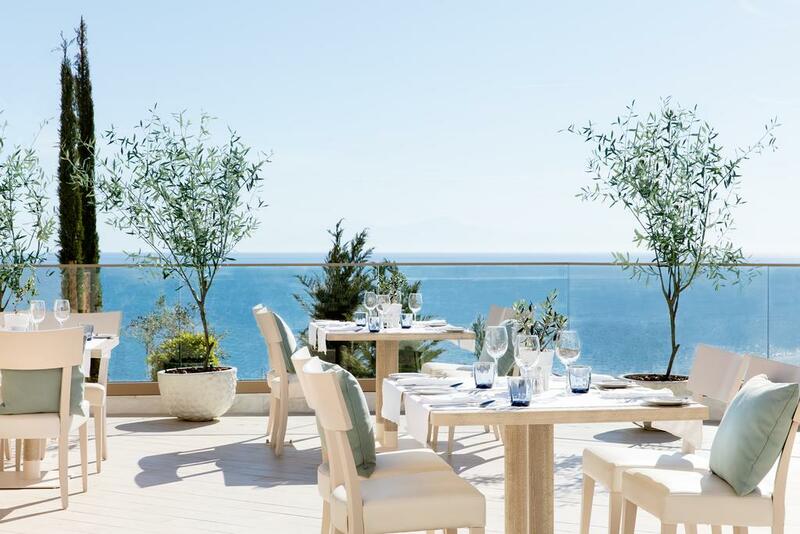 Ikos Resorts are purposefully located in spectacular settings with picturesque beaches and crystal clear waters, ideal to maximise relaxation and activities spent on the ocean waves or ashore. 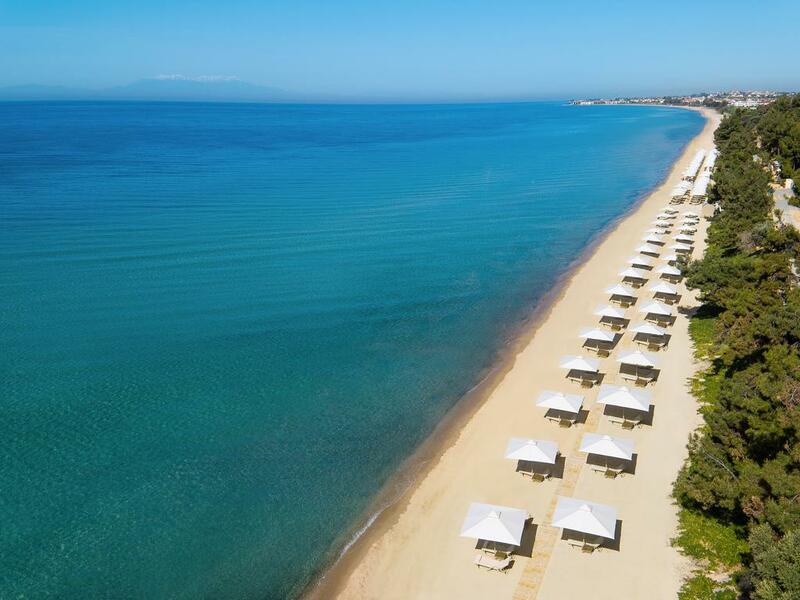 At Ikos Oceania, the very long sandy beach offers a private section to hotel guests and is an ideal location for active guests to enjoy such water sports as pedaloes, canoeing, wind surfing and catamaran and there is ample sun beds and parasols for those wanting more relaxed activities plus there is the added luxury of a sun bed service for drinks and snacks. For parents wanting to grab forty winks, catch up on a good book or simply a quick breather, a Babewatch service is available. 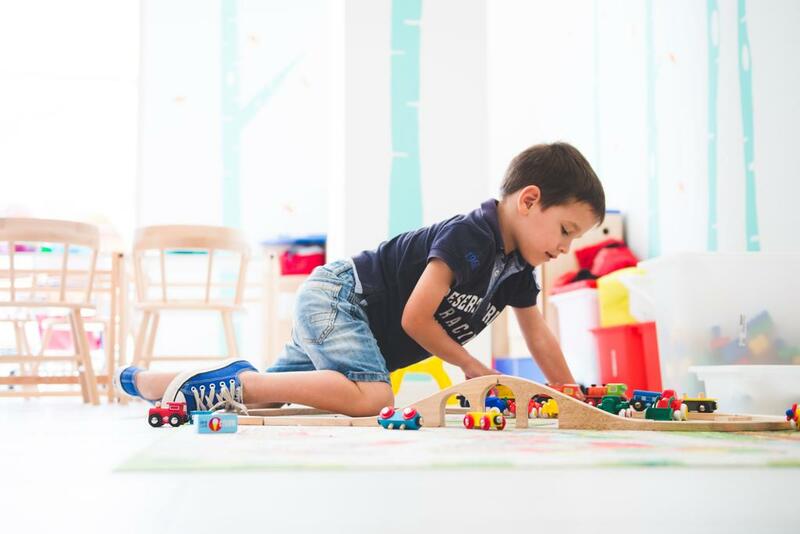 Trained child care experts take care of the little ones on the beach for up to 30 minutes complimentary to allow mums and dads a well-deserved break.